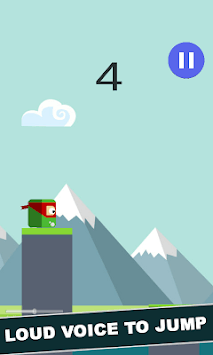 Use the sound to control the Ninja , across one obstacle after another! Scream Go ninja is a super exciting and Voice Game with lots of fun. How to play Scream Go ninja, Use your voice to move and jump between platforms. Soft voice to jump, scream to jump. Volume of voice is the crucial point. 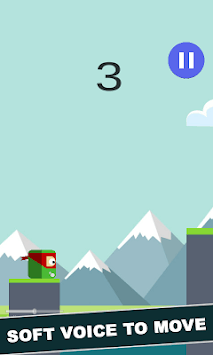 You need to control the ninja to avoid obstacles, to get more points and try to Survive by jumping between obstacles. 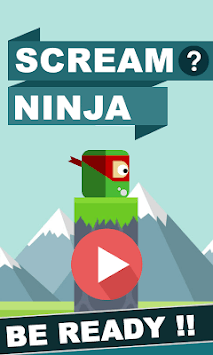 The Scream Go Ninja is free, super cute, adorable game. Take your breath, Tap the play button and be ready to embark an epic adventure. Download Scream Go Ninja and don't disturb your friends!